I am Stephanie Harris and I am the creator of Aurorealis Designs. I am an Austin,TX based jewelry designer, who's love for statement pieces began in childhood. I was introduced to the power of jewelry by the queen of accessorizing, my Grandma. That love of sharing jewelry, and the memories it created made a huge impact on me. I love jewelry that has a history, tells a story, and makes you feel something when you wear it. I strive to embrace that feeling with Aurorealis Designs. I am inspired by jewelry with a past, from Egyptian, Native American, and vintage jewelry. 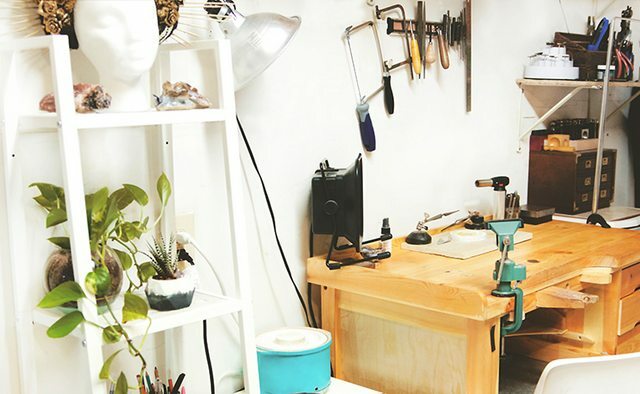 All of my jewelry is individually handmade in my home studio using traditional metalsmith techniques. I design each piece to complement the unique characteristics of each stone. I incorporate handmade Native American metal stamps. They are made by five generations of Native American Metal smiths. I love the unique and personal touch these stamps add to the designs. I think the history and art of these stamps are so important to preserve and cherish. With Aurorealis Designs, I want to create styles of the past, mixed with modern design elements that you feel connected to and will cherish for many years to come.